We are here to transform lives and encourage every individual to live a healthy lifestyle. Here are some success stories from inspiring people. my lifestyle to a better and stronger me." For a few months, I took a break from work and had to prepare my own meals in controlled proportions. Going back to work was a huge adjustment. My schedule was once again packed leaving me with little time to prepare my own meals. I still wanted to continue a healthy diet plan, so I decided to extensively look for a planned meal supplier that best suited my preferences. Lo and behold, I found Yummy Diet. I chose them amongst others because they prepare meals that I like and best of all it is affordable. I started my journey not to lose weight but rather to be healthy. With my family’s flawed health background, I knew that I have to change my lifestyle. 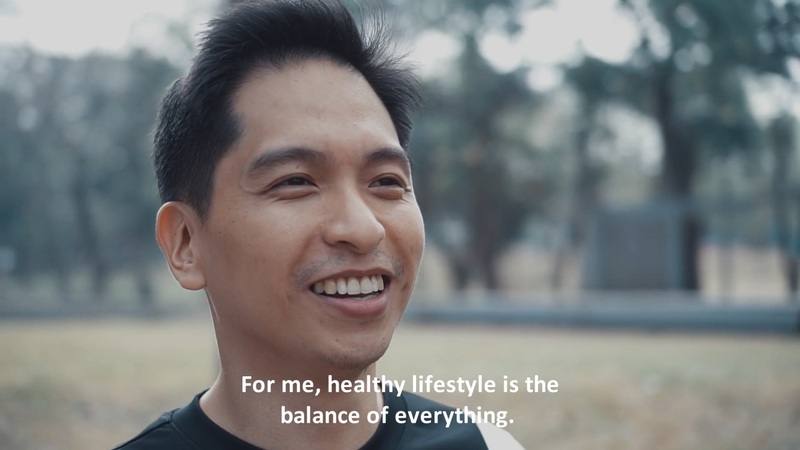 I can’t change my family’s health history, but I can change my lifestyle for a better and stronger me. Low Cal by Yummy Diet healped me make my lifestyle better. It's such a convenience to have them around. Now, I can focus on my work, perform my workouts and in the same time, sustain a healthy diet with no inconveniences. I sure recommend Yummy Diet for a meal plan best suited for you! way to a healthier and better you. Trust me!" Having a healthy lifestyle is pretty hard at first. The beginning is always the hardest. I experienced starting to zero for a couple of times and it was never easy. If you are struggling on how and where to start, Yummy DIet can help you pave your way to a healthier and better you. Trust me. I like Yummy Diet because of how broad their programs are which are perfect for every individual who might aim to either lose fat, build muscle, or even just maintain their figure. "My goal is to keep my body in great shape and to maintain my active lifestyle. Supreme diet helped me with both and made me gain muscles faster." Before availing Supreme diet, my meal plan consisted of paleo and keto diet. I wanted to discover menus and dishes that was perfect for me to sutain my diet. After a long search, I discovered Supreme Diet, To my utter benefit and absolute contentment, I get to eat the required and regulated amount of macros and at the same time, I spend less time in my kitchen preparing meals. With Supreme Diet, overeating was no longer an issue. It helped me gauge the optimum quantity and quality of food my body required to fully function. Through this, my appetite gradually adjusted to what my body needs. to become the 'beast' and better version of me." Previous to DASH by Yummy Diet, I did not try any other diet delivery service. With my very active lifestyle, I wanted to find the best diet delivery service and meal plan. After reading numerous diet meal plan services, I decided to choose DASH because of the seemingly excellent health benefits that comes along with it. I knew that I needed DASH in helping me achieve my goal: to become the 'beast' and better version of me. Since I no longer have to worry about cooking our meals for the day, I have more quality time to spend with my child and husband. It is such a covenience to have them around.